This trainer, based on the PIC24FJ256GB110 16-bit microcontroller has been designed to support the teaching of programming and/or interfacing. 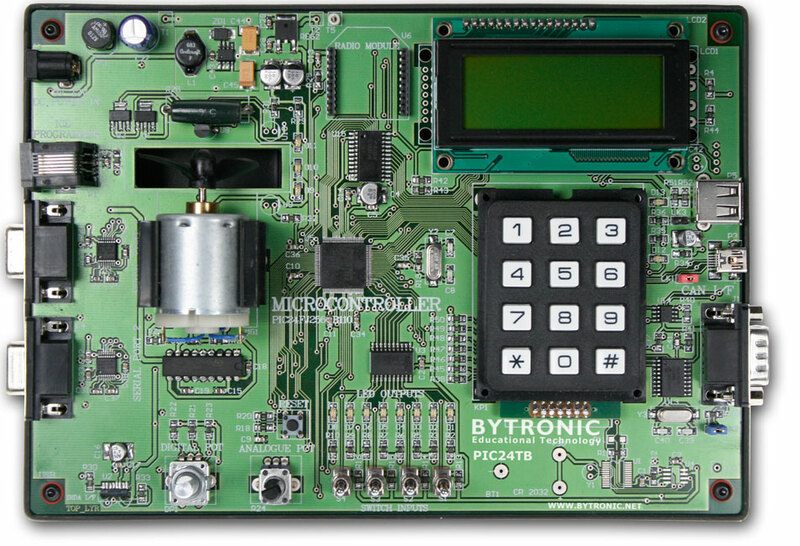 The board may be programmed by the user with Microchip’s MPLAB and C30 compiler; the user can then implement the programs in assembly language or C to control the board’s facilities. The program may then be downloaded into the PIC24 (over writing the monitor) using an external programmer. 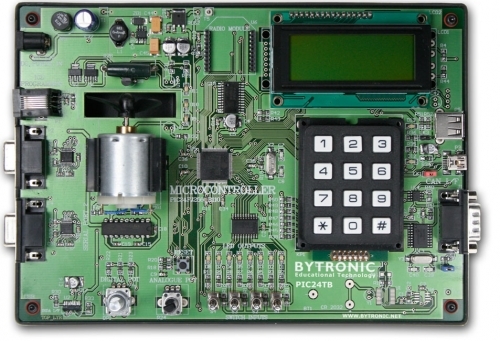 The PIC24 board can also be controlled using Microsoft Visual Express C++ 2010. The monitor program enables commands from a PC host to control the board through a USB connection. This enables programs to be implemented on a PC to carry out many of the included exercises. A library of C/C++ functions is supplied for Microsoft Visual Express C++ 2010 (similar functions could be written for any compiler/language which has USB communications facilities).